NTT Inc. - NTT Inc will be at National Facilities Management and Technology Conference! For the 8th year, National Transfer Technology (NTT) is excited to be included in the National Facilities Management and Technology Conference and Expo (NFMT) on March 7-9, 2017 in Baltimore, MD. The conference, featuring 125 hours of Facilities Management Educational Sessions and specialized educational tracks for participants, includes an expo, where NTT will be a vendor in booth #1711. NTT Training is a safety and training company that focuses on hands-on experience and customized learning. For years, NTT has lived up to their motto “Skilled Workers. Stronger Companies.” by providing training on a variety of topics, from electrical safety to mechanical maintenance. Additionally, companies can also have their employees take certification classes with NTT. 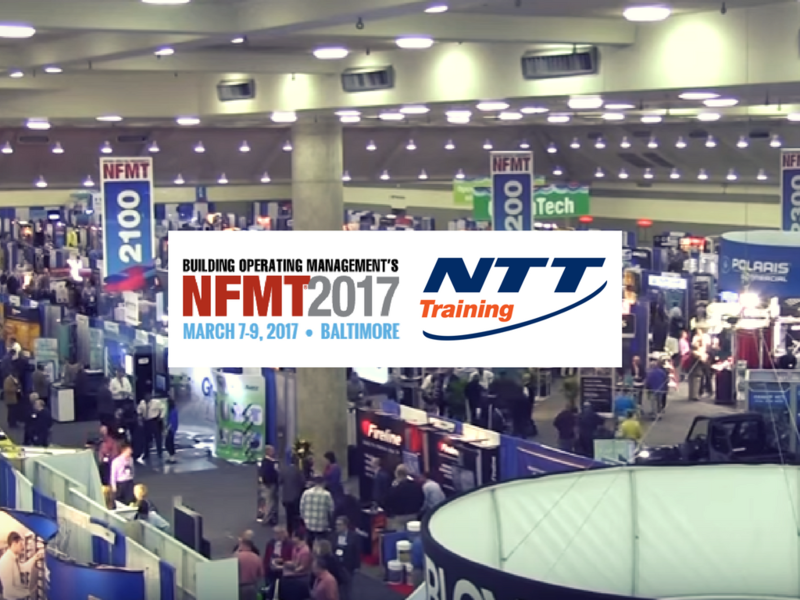 With the ability to have in-house training as well as safety seminars around the country, NTT’s spot at NFMT is a natural partnership. NFMT, launched in 2001, is a facilities management conference and expo focused on providing free education to companies in the industrial and healthcare sectors, among others, and allow them to connect with those who can best serve their needs. The organization works to bring industry experts together to help promote safety and learning for workers and their companies. This year exhibitors are separated into pavilions in the exhibit hall, allowing guests to easily find the subject area they are interested in. NTT Training fits in well at NFMT because all industrial companies, no matter what sector they operate in, need safety training for their works. Arc flash is just as dangerous in a facility focused on sustainability as in a factory creating items for the Internet of Things. With a variety of classes and varying length of instruction, companies can fine tune their training to fit their facilities’ exact need. NTT Training offers a variety of safety training courses off-site and on-site for companies who have specific needs. With the ability to tailor classes directly to a workplace, NTT Training offers a great advantage for companies who want to ensure worker safety and workers who need high-quality instruction. Certification classes are also available to companies who are ready for their workers to take the next step. Attending NFMT gives you a chance to speak with representatives from NTT Training and see if their safety and educational training services are right for you and your company. With certification classes also available, speaking one-on-one with an NTT Training employee could help start a relationship and improve worker safety. Finding NTT at NFMT won’t be difficult at all. Look for vendor booth #1711 in the Expo Hall. The hall will be open from 12-4pm on Tuesday, March 7, 11am-3pm on Wednesday, March 8, and 11am-2pm, Thursday, March 9. For more information about the Baltimore show, there’s a detailed PDF. Representatives and companies can sign up for free to attend the conference. Please note, attendees must be qualified end-users looking for products and services at NFMT and must have purchasing ability for the company they represent. Contact information for the conference can be found here.